Within the Army Reserves, many jobs for enlisted personnel offer the opportunity for promotion. But there are some factors which can make a soldier ineligible for promotion or promotion consideration. You'll want to try to avoid these if you hope to take on a role with more responsibility. First, you have to be present and accounted for. Soldiers seeking promotions can't be AWOL (absent without leave), in deserter status, in custody or confinement by civil authorities, or under arrest. The following are some situations where a soldier would be denied or be ineligible for a promotion, with references to the specific Army regulations (denoted with AR) that explain the details. Soldiers seeking promotion can't be under court-martial charges; if you're on track for a promotion, it will be withheld until the charges have been resolved favorably. This can mean a dismissal or withdrawal of the charges or an acquittal following a trial. A soldier under a court-martial sentence is considered eligible for a promotion the day following the last day of the forfeiture or withholding of pay. However, all other portions of the sentence must have been carried out. 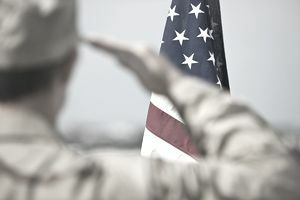 A soldier being processed for discharge is generally ineligible for promotion unless the discharge is for immediate reenlistment (see AR 140-111). He or she must be eligible for immediate reenlistment or extension in the military if this is the case. A soldier with an approved bar to reenlistment is not eligible for promotion consideration. If a soldier is being punished under article 15 of the Uniform Code of Military Justice (UCMJ) or is in a period of suspension of such punishment, he or she can't be promoted except under specific circumstances (see AR 27-10). For some military jobs, certain security clearance levels are required. Those with the rank of sergeant or above can't be promoted unless they have the required security clearance, or if they have an unfavorable security investigation. Another scenario where a promotion might not be granted is if a soldier doesn't have the required or specialized training needed for the next step up, or if he doesn't have needed license or certification. Likewise, he or she must be a graduate of the NCO education system (NCOES) course required for his or her current grade. Soldiers need to be in the proper physical condition for any promotions. If a soldier has failed the Army physical fitness test, including meeting the body fat standards, this may be cause for denying a promotion. They may enter a weight loss program to qualify, but promotions will be withheld until they meet the body fat requirement or otherwise return to an acceptable physical condition. Another situation that would result in someone being ineligible for promotion is a soldier who has been approved for voluntary retirement. Within the Active Guard/Reserve, you won't be eligible for a promotion if you're ill or injured other than in the line of duty. For further details on the circumstances under which Army Reserve personnel may be denied promotions, refer to the Army regulations.